Is Galatians telling us that the Law of the Old Testament no longer important for our lives? What about Psalm 119, where David says over and over how he loves God’s law, he meditates on it, it is his joy and comfort? Didn’t even Jesus Himself make the 10 commandments even more strict when He said in Matthew 5 that just looking at a woman lustfully or divorce was adultery, harboring anger and destroying another person’s character was murder? If Galatians teaches that the Law is no longer relevant to us, why even have the Old Testament at all? In order to understand Galatians, we must understand the purpose of the Law in the life of a New Testament believer. By New Testament believer, I mean all of the generations of believer following Christ’s resurrection; particularly those of us who are not Messianic Jews. How is the Old Testament Law relevant to us today? The Old Testament is the New Testament concealed, the New Testament is Old Testament revealed. What this means is that as you read the Old Testament – the Law and the prophets – you see Jesus Christ. You see all of the symbolism of His sacrifice and how His sacrifice fulfilled the ceremonial cleansing and sacrificial laws. When you read the New Testament, you see how the Old Testament ceremonial and sacrificial laws were a crude sort of band-aid on the wound that sin left on the hearts of men. In the Old Testament, the Jewish people were reminded over and over again that in order to be blessed; in order to not be riddled with disease, poverty, slavery, and the derision of the nations around them, they had to keep the Law. The blessings of God were directly linked to their ability to consistently fulfill all of the Law perfectly. If they messed up at any point, there were numerous and costly sacrifices to be made to appease God and hold off His hand of wrath against them. But we see in Galatians 3 that it is impossible to try to consistently fulfill all of the Law. And to even mess up in one area of the Law is to have broken the Law as a whole. Jesus didn’t make the Law irrelevant to us today. Galatians chapter 4 starts off by explaining the purpose of the Law. The Law in the Old Testament acted as a guardian over God’s people as a way to safe-guard them from the rampant paganism and occult practices of the nations around them until Christ could come and fulfill the Law; making a guardian in that sense unnecessary. In chapter 3 we see this same illustration of a guardian, only in a modern context. 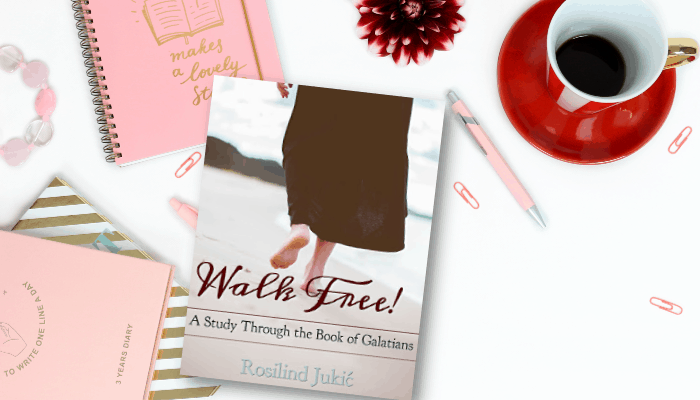 Get the whole Galatians study in a digital workbook, along with study questions and a 30 Day Prayer Challenge for Galatians. This modern context of a guardian illustrates how the Law apprehends sinners and holds them in custody to the Law on the charges of their sin until they appeal to Jesus Christ, the mediator between them and Almighty God. The Law leads them to Christ. Once Jesus Christ has gone to Almighty God on their behalf as the substitution for their sin, the Law is no longer needed as a guardian. Now the Law takes on a new role – it’s not irrelevant, anymore than police officers and jails are no longer relevant to a convict once he’s released. The Law for the New Testament believer has a different role than it did for the Old Testament Jewish nation. In the Old Testament the Law acted as a means of appeasement. God knew from the start that the Jewish people could never consistently keep the whole law perfectly. That is why He immediately provided them with the “sin offerings” as a way of appeasing Him in those instances when they had violated or failed to fulfill certain laws and customs. But the Law no longer acts as an appeasement, but as a buffer. Jesus was the final sacrifice. His death was the final act of appeasement between God and man. Keeping the Law no longer serves as a measuring stick for how much or little we have pleased God. God cannot love you anymore than He does right now. Ephesians 1:6 says that we are already accepted in the Beloved. The Law now acts as a buffer, to prevent us from offending God. We don’t keep the Law to please God, to be validated by God, or to make God love us; we obey the Law because we love God and we don’t want to do anything that offends Him. I don’t keep my marriage vows so that my husband will love me more or validate me as his wife. I don’t stay faithful to him to prove how dedicated I am and how much I love him. I stay faithful because I am already dedicated to our marriage and to my vows, and I don’t want to do anything to hurt or offend my husband. You see, the actions are the same but they are driven by vastly different motives! In Galatians 4:21-31, Paul uses Abraham’s two sons to illustrate this even further. Ishmael represents those who are still trying to prove their dedication to God by their actions and ability to maintain certain standards in their life. Isaac represents those who are at rest, knowing they are dedicated to Him, they are accepted by Him, His blood has already validated them, and so they maintain certain standards out of a love for Him and a desire that He be glorified in their life. Ishmael was never the son of promise. He was the son born out of Abraham’s decision to make God’s promise happen all on his own. And when we think we can make God’s promise of salvation happen; when we think we can make God accept us by proving how dedicated we are by maintaining certain Christian standards in our life, we are Ishmael. We are the son of the bondwoman that God ordered Abraham to cast out. We are left with no inheritance. Isaac was God’s miraculous fulfillment of the promise He made to Abraham. Abraham did literally nothing, and could do literally nothing, to bring about Isaac. That was all God. And when we realize that no matter how many Christian standards we keep in our life; no matter how many times a month we attend church, no matter how often we tithe or how much we give to our church above our tithe; no matter how many prayer meetings we attend and how many ministries in the church we’re involved in – it will never be enough. None of the things we do will ever be enough. Because Jesus was already enough! When we can rest in that truth; when our actions are no longer motivated by a need for God’s approval, but a desire to glorify Him and lavish our love on Him, then we are Isaac. We are the son of promise. And we are blessed. Nowhere in there does it say that He blesses us with all spiritual blessings because we’ve kept His commandments or kept His law. In fact, all spiritual blessings have been heaped on us for only one reason: because He loves us and because He wanted to. If we want to be free; if we want to live as sons of promise, our motivation for obeying God’s law should only be out of our deep love for God and a desire to see Him glorified. Thank you so much for this study. I was very helpful to me. Now I understand. I was raised in a church that did no fully understand the old covenant and the new one. I was one of these that was performance based. Now I understand I do not have to perform for Gpd’s love. It has been difficult to allow God to love me because my father was not very loving so I precieve God that was. It has made it hard for me to accept his love. Again thank you so much for this. You have a blessed day. I am glad that this study is speaking to your heart. I will be announcing a workbook with expanded material. 🙂 Isn’t this exciting, though? This study h as completely set me free!